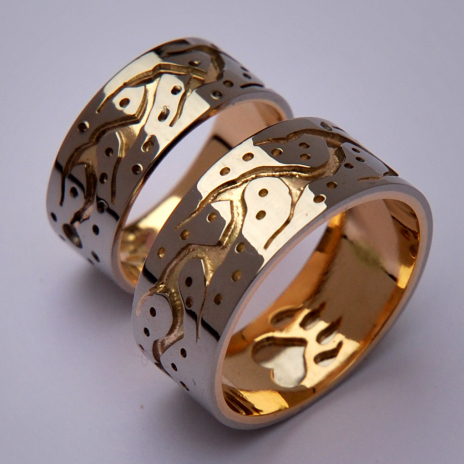 NOTE: The above wedding rings can also be ordered in sterling silver. Ask the jeweler for prices. *When ordering or requesting a quote please mention the item# of the rings and, if possible, your ring sizes. See below information for recommendations on ring sizing.